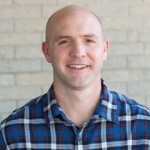 Mark Moore Joins Ecclesia Staff as Director of Coaching & Missional Formation! 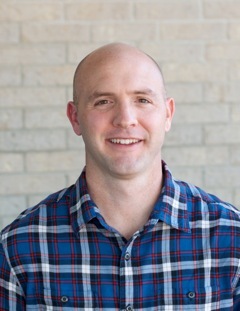 I am excited to share with all of you that Mark Moore, founding pastor of Providence Community Church (providencecommunity.com) in Dallas, TX will join the staff of the Ecclesia beginning May 1st. Mark will be assuming a newly created role as Director of Coaching & Missional Formation. In this role Mark will be responsible for helping to oversee the process of coaching within the network. He will also be working to strengthen the path that new planters move through when they want to start a new congregation within our network. In addition, he will work with our overall team to care for all the leaders within our family while giving particular attention to networking and developing Ecclesia in the western half of the US. In addition to his role at Providence, Mark also serves on the faculty of The Leadership Institute (spiritualleadership.com), where he is involved in training leaders through the integration of spiritual formation and leadership development. His greatest passion is the intersection of spiritual formation, New Testament scholarship, and on the ground missional practice. Some of his favorite authors are N.T. Wright, Dietrich Bonhoeffer, Greg Boyd, Robert Webber, and Henri Nouwen. An important part of Mark’s story is that he served on the board of Acts 29 in another life. In that role he helped oversee Acts 29 Europe, worked with training coaches and assessors, and helped to guide several new church starts. While Mark’s theoloical dispositions have changed since those days, he brings this experience into his work with Ecclesia. Mark and his wife, Lezlie, have a nineteen year old daughter (Logan), and two sons ages sixteen and ten (Cole and Carson). The Ecclesia Network has recently rolled out an online platform called The Table that we hope will help facilitate connection and the sharing of resources amongst our Ecclesia churches. You can find it/log on at http://ecclesianet.tableproject.org. Jump on, join or start some groups and let the sharing begin! A good place to start might be the general resources group where you will find others posting the resources they have developed in their communities and where you can do the same. Also- encourage the rest of your staff to join in as well! Mary is a newcomer to our group as of last late-October. She’s a recent widow (about 2-3 years ago) who spent all of last year looking for a church community that she could call home. She’s one of the few people who found us online. As she gradually grafted into our community, she told me she felt like we were calling her to do things that were hard, but that she felt like part of the family immediately and really enjoyed and looked forward to spending time with us. However, she was also looking for a community with more people her age. We’re fairly diverse age-wise, with people in our crew that are in their 40s, 50s and 60s, but the numbers of those people aren’t the largest. We sat down for coffee in January and she told me a lot more about her life story and why she felt like she wanted to look at some other churches. After listening to her for quite some time, I asked her only a few questions of challenge and discipleship, and about how she felt like part of the family at Boise Mustard Seed. She took those questions seriously. A few days later I received an emotional email from her telling me about the significance of our conversation, a few other conversations with other friends and personal meditation readings over the interim days and how through all of this she perceived God speaking to her. She ended the letter by saying: “I’m all in!” And she has been. As we’ve continued the journey, she was able to bring particular insight, as a former Catholic, to our church family’s emphasis on spiritual formation during Lent. She is preaching this Sunday at our worship gathering about personal reflections and lessons learned during Lent this year, and how her understanding of Lent has changed over the years. We are extremely blessed to have Mary join the church family. “I’m digging this God stuff”, is a comment I (Geoff) often hear from my friend. He’s been sober for 30 years, but only when we started hanging out last year did he start learning that God wanted to be a part of his entire life, not just his sobriety. Now he’s praying for more than staying dry, but for a job, for the people in his life that drive him crazy, and for peace. His AA friends have noticed that he is a lot calmer and less angry. My friend and I get together and talk about God and life and his relationships. In typical church talk, I would say he is “On fire”. He has started reading his Bible and is becoming more familiar with Jesus and everything he did. Most amazing of all, during our Good Friday service (which for us goes through the last 7 statements of Jesus from the Mount of Olives to his death on the Cross), my friend said, “At the beginning of the service I just felt something come into me. It was good.” Yes, it was a Good Friday, that by His wounds we have been healed. This past Easter at Evergreen Community in Portland we had the privilege of holding our first ever Easter Baptism! We borrowed a baptismal from another local community and set it up on the sidewalk outside of the Pub in which we meet. We baptized Devin, a young woman who came to our community with no church background to speak of. It’s been wonderful to see her journey from someone who was interested to someone who is committed to following Jesus with her whole life. Evergreen has a special niche in connecting with people who have left church or faith and are just now coming back, but as joyful as that is for us, one of the things we love most in community is seeing the lives of those who know nothing of Jesus transformed as they encounter Him in our community!